Battle of Kings is a tower defense strategy game from Battle of Kings Team, Wenkly Studio Sp. z o.o. Take the command of your kingdom and use your strategic skills to defend the siege against your fortifications. You can’t win only by defending your Kingdom. Develop your economics, assemble and upgrade your army to defeat the enemy forces in a real Battle of Kings. In Campaign Mode, you play classic tower defense scenario. In Battle Mode, you not only defend your kingdom but also attack the opponent and upgrade economy. In Battle PvP Online Multiplayer Mode, you can test your strategic skill against your friends or other players online. 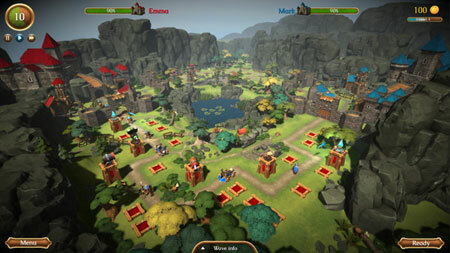 The game features different environment themes and locations, that means 6 types of towers of different strategic use and each with 3 levels of upgrades. If you get stuck in the game, check out the video walkthrough and gameplay for the game.